← Do we measure creativity, inquisitiveness, inspiration? The links below are to a photo and a PDF of a poster I created (after seeing a similar one in a teacher’s classroom in Portsmouth NH at an edcamp!) of the updated Blooms taxonomy. Please feel free to take them or create your own! I have it hanging in my classroom and refer to it often with my kids, especially when we are beginning projects, debates, etc. I want them to be able to understand what HOTS are and why I push them to stretch themselves. We have also had conversations about what they learned in previous years and where that fell on the scale compared to what they are learning now about the same topic. They love to see the progression, not only in subject matter but also in the sophistication of their thinking. 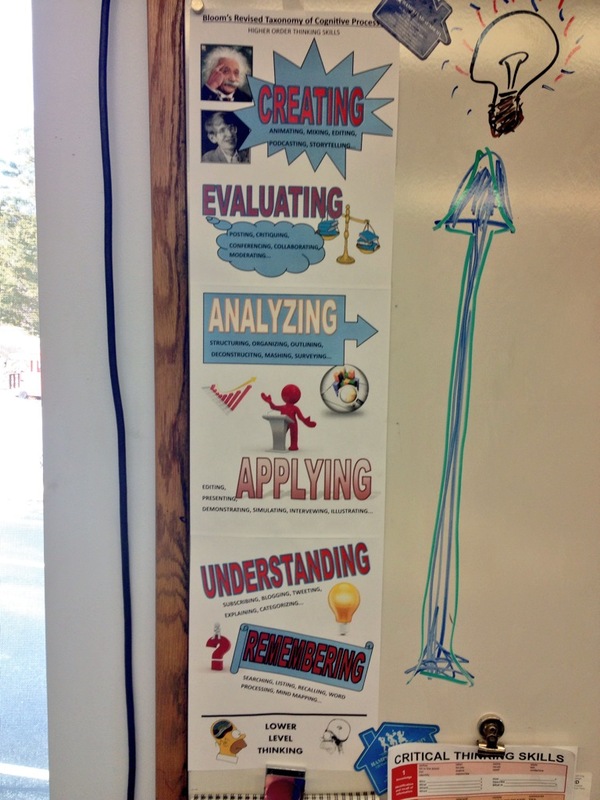 This entry was posted in Education and tagged Blooms, Blooms taxonomy, Portsmouth NH. Bookmark the permalink.